If you eliminate your EGR valve, you’ll likely get a P0400 Exhaust Gas Recirculation Flow Malfunction trouble code. But no worries, here’s what you need to do to get rid of the code. 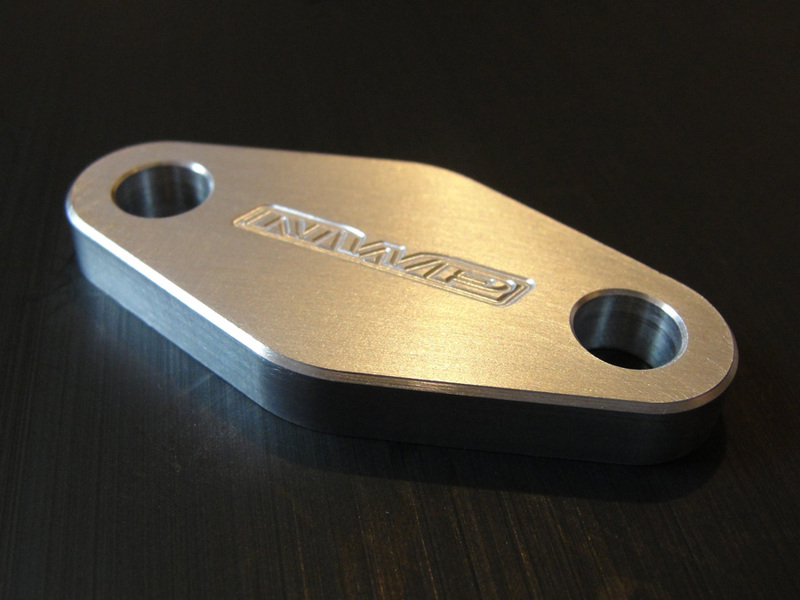 Buy the EGR blockoff plate from NWP (you can also make your own). This will go on the intake manifold when you disconnect the piping from the EGR system. If you are doing an HR swap or have a 07-08 Maxima, then you don’t need to do this. They cost $35 bucks from NWP. This is the smallest of the 2 sensors on the EGR piping under the hood. You can either leave it in the engine bay reading ambient air temp or you can trick the ECM by sticking a 10k ohm resistor in the female connector (as my picture illustrates above). I don’t believe you will go into limp mode if you totally remove this sensor and don’t do the resistor trick but you will throw a P0406 (EGR flow sensor A circuit high input) code. Important Note: Make sure resistor is 10K-Ohm not 10-Ohm. If I remember correctly my coolant lines went to the EGR valve, out to the throttle body and back out to the return plumbing. I basically just took the EGR out of the lineup. So the coolant line runs straight to the Throttle body and back out to the return plumbing. I’ll delete the coolant lines to the throttle body at a later date and time as I was doing a LOT of mods at once and didn’t feel like fooling with it at that time & point. I performed this on my 2004 Nissan Maxima and drove 3K+ miles. No issues or CEL from the EGR delete. The emissions readiness monitors also pick up EGR as PASS!